Every now and then, we get invited to try restaurants that are really close to our house. 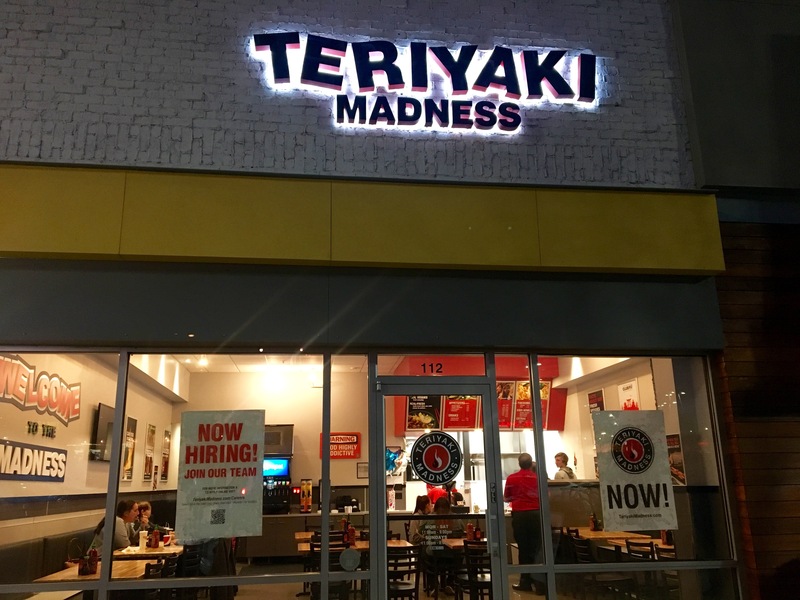 When an invite came for Teriyaki Madness, we were intrigued by the concept, and since it’s only a few miles (and no traffic) from our house, we decided to pop over for dinner one night. The Madness is located at the intersection of Sandy Plains and Shallowford Roads in the Kroger shopping center. 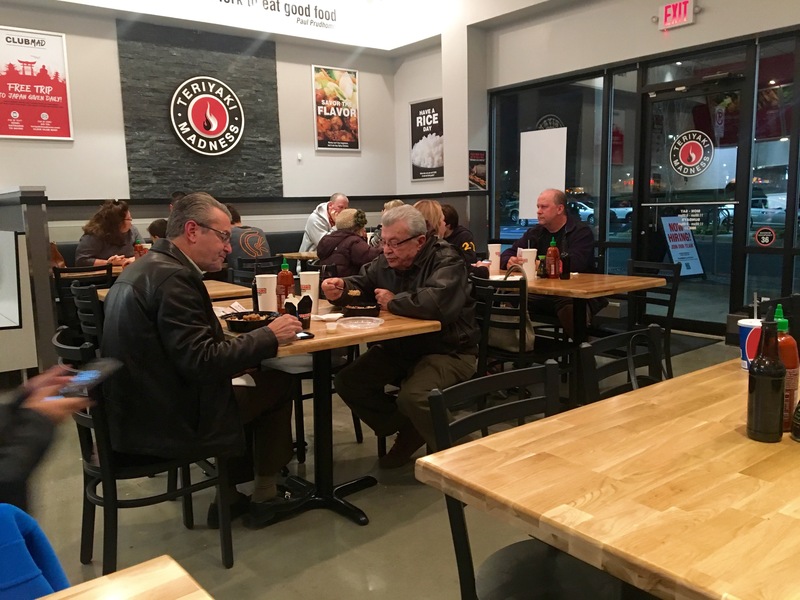 This is a busy area, and a lot of people come in during our meal. Evidently, coffee chains are not the only thing to come out of Seattle. 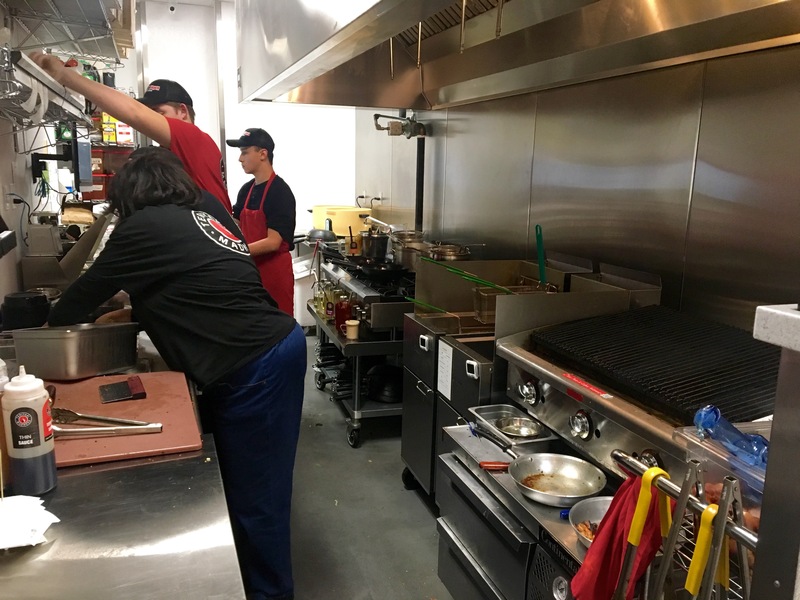 Teriyaki Madness started there about ten years ago, and now they are marching their way across the country. This is the first franchise in Atlanta, with more on the way in the ATL. Joe and Robin Cleveland are in charge here, and they spend up to 13 hours a day in their restaurant, making sure things run smoothly. They live nearby, so you are eating with locals. There’s a steady stream of East Cobbers during our visit. Joe tells us that this is a regular stop for many high school athletes because you can get large quantities of food here. The menu is pretty simple. You pick your protein, what kind of rice or noodles you want it on, and what kind of veggies you like. You can eat healthy or not–it’s up to you. You can even get tofu. Once you order, the kitchen takes over. 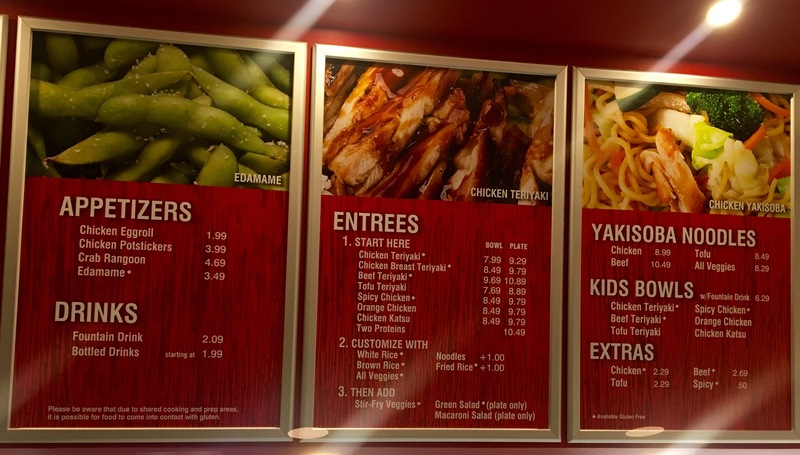 The Clevelands point out that this is casual fast food that’s made to order when you order it as opposed to fast food that’s waiting for you to order it. Each meal takes around eight minutes to come out. That’s about how long it took for ours. 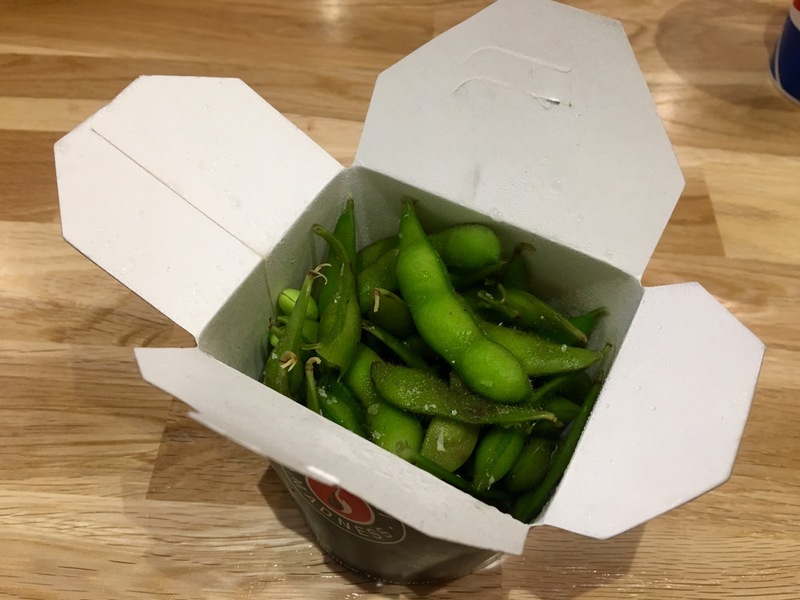 We start our with some edamame. It’s steamed, not too salty, and good for you. 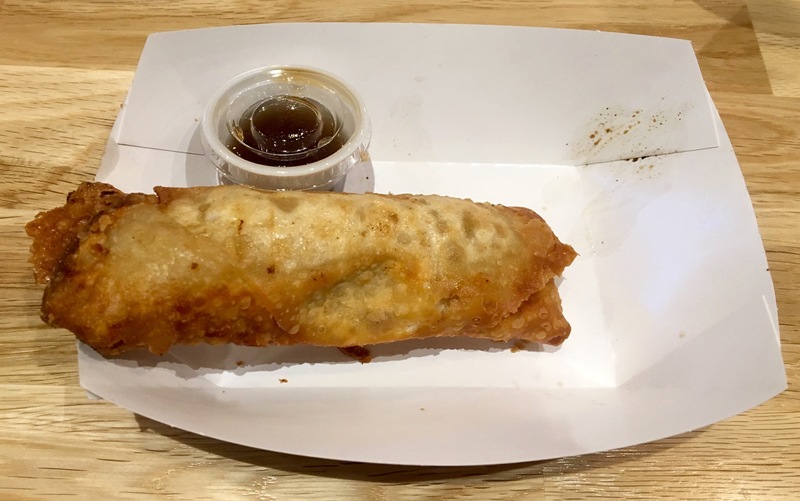 Maybe egg rolls aren’t as healthy. This one is hot and crunchy and an excellent app to split with your date. 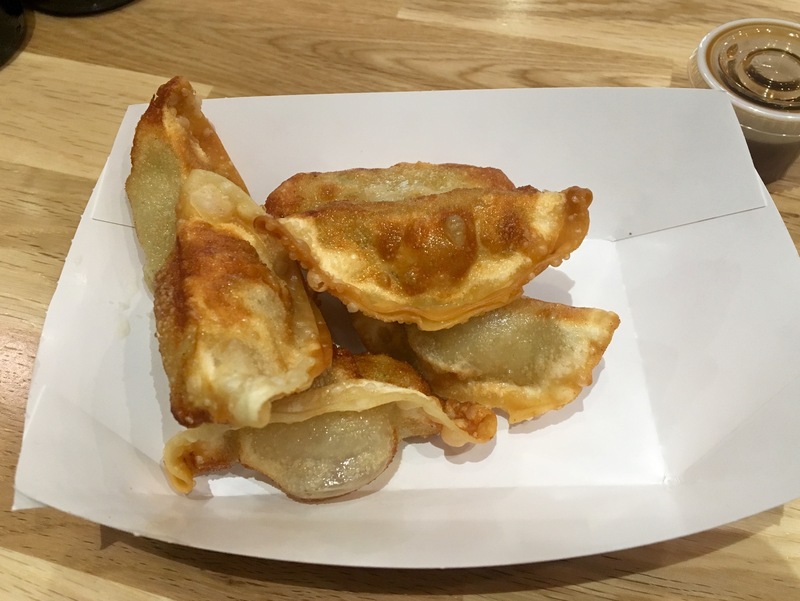 The Clevelands want us to try the dumplings, so they bring an order over. We enjoy these too. You can’t go wrong, no matter what appetizer you pick. 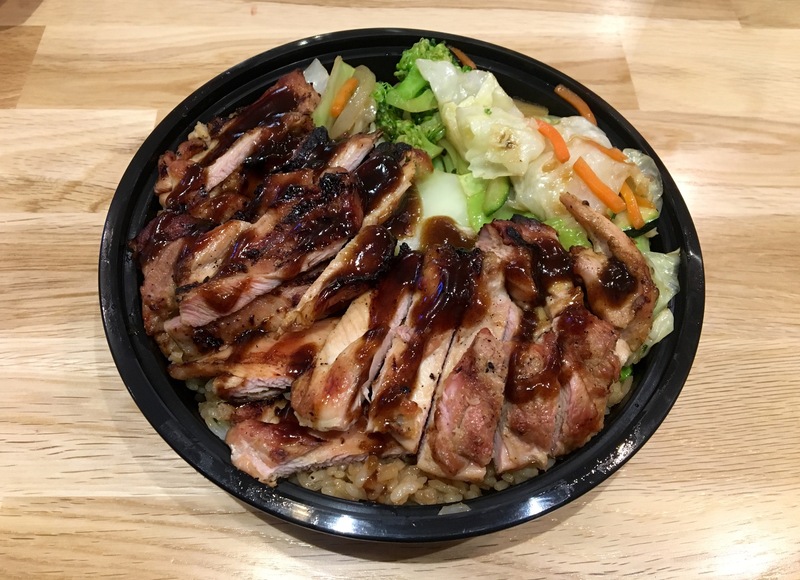 The chicken teriyaki bowl is the most popular dish here. They serve about 50 pounds of chicken a day. I get my bowl with fried rice and all of the veggies except onions. It’s plenty to eat for me. You can get a plate and almost double the amount of food for just a little more. Or take some home for another meal. Anyway, the bowl is full of good stuff and I really enjoy it. It’s not too salty, which is always my complaint with anything that has the word “teriyaki” in it. Eve gets a similar, but different dish with beef instead of chicken. Of course we share the proteins. She gets a healthier version with brown rice instead of fried. The teriyaki sauce is light and tastes a little sweet instead of salty. She cannot eat all of it, which means more in my plate. 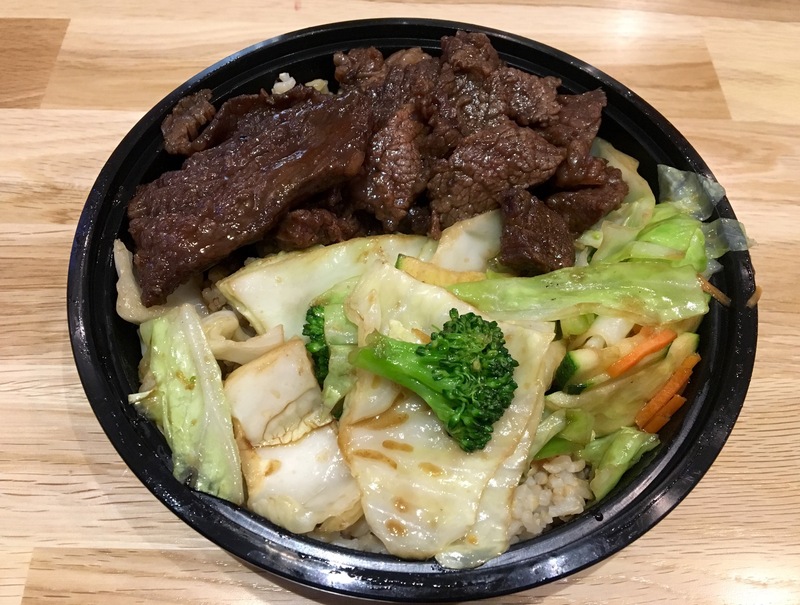 If you live in the area, you should check out Teriyaki Madness. It’s nothing fancy, but it’s healthy, filling, and it tastes good. What more do you need? Disclaimer time: This was a media event and Date Night did not pay for our dinner at Teriyaki Madness. Our words, however, are priceless. Thanks to the Clevelands for being so generous with their time and for being so darn nice while we visited. 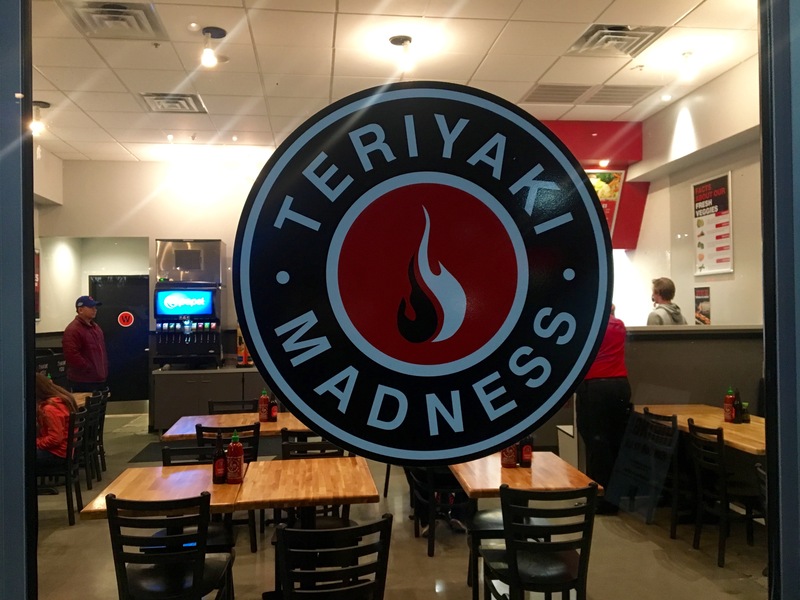 We’d like to give a shout-out to Mike Garabedian at Fishman PR for setting up our visit to Teriyaki Madness.